Holi 2019: The festival will be celebrated on March 20 and 21 this year. 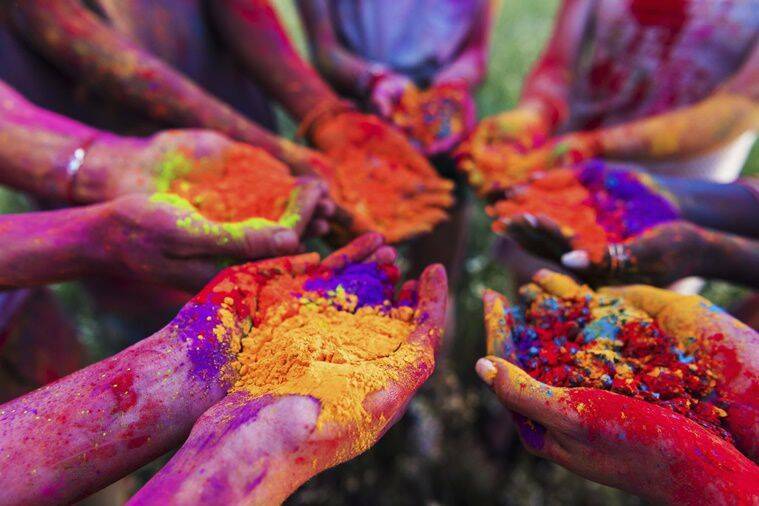 Holi, the festival of colours, is just around the corner. Celebrated with much fervour, the festival which falls on March 20 and 21 this year, signifies the victory of good over evil. Interestingly, it is celebrated in multiple ways in different cities and states across India. Predominantly celebrated in the northern parts of India, the places generally associated with the festival include Jaipur, Mathura, Vrindavan and Barsana. While Jaipur celebrates it with a royal touch which includes elephant parades, elephant beauty contests, folk dances, tug of war between elephants coupled with regular celebrations like exchange of colours and distribution of sweets, the celebrations in Mathura and Vrindavan are marked by musical processions from the temple to the river banks. 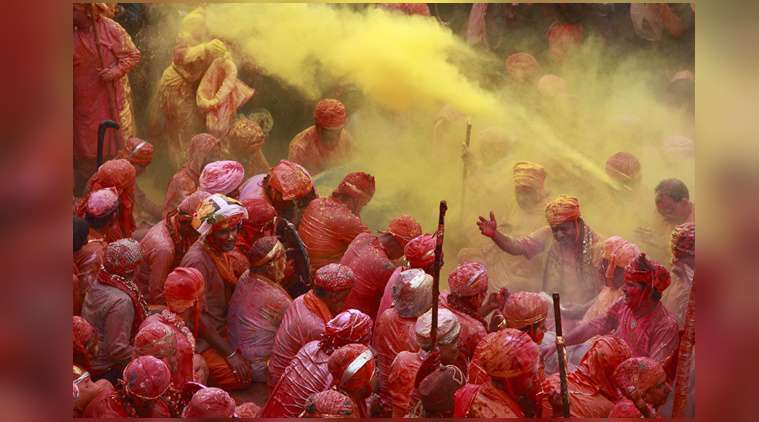 In the historical town of Barsana, which is said to be the village of Radha, it is celebrated as ‘Lathmar Holi’, where the women of the village beat the menfolk with sticks. It is believed that Lord Krishna used to visit Barsana to meet Radha and other women, and used to tease them. The ladies retaliated by beating the men with sticks – a practice that has stuck on over the years. But if you want to skip the regular celebrations and indulge in unique festivities this year, Anuj Mukherjee, co-founder and COO, http://www.wildvoyager.com, recommends a few places which impart a completely different feeling, making Holi a memorable experience. Holi 2019: The festival of colours signifies the victory of good over evil. Even though South India is not known for celebrating Holi in a big way, Hampi drenches itself in colours on this day. The celebrations, however, are relatively muted. inhabitants of Hampi – also known as the ‘City of Ruins’ – welcome spring by drumming and dancing with utmost enthusiasm. They also adorn themselves with colours and gather along the banks of Tungabhadra river to enjoy the celebrations. The city reflects the charm of an era gone by, as one is transported back to the middle ages when one sees Holi played in the ruins of Vijayanagar Kingdom. Holi is known as Dol Purnima in the city of Puri. People celebrate by carrying out a palanquin procession of Lord Jagannath around the holy city with locals taking turns to swing the palanquin. During dusk, the milkmen (gwalas) lead the festivities. The idol of the lord is placed on a specially-erected tent called ‘jhoolan mandap’ and they play a local game called ‘Dandi Khela’. 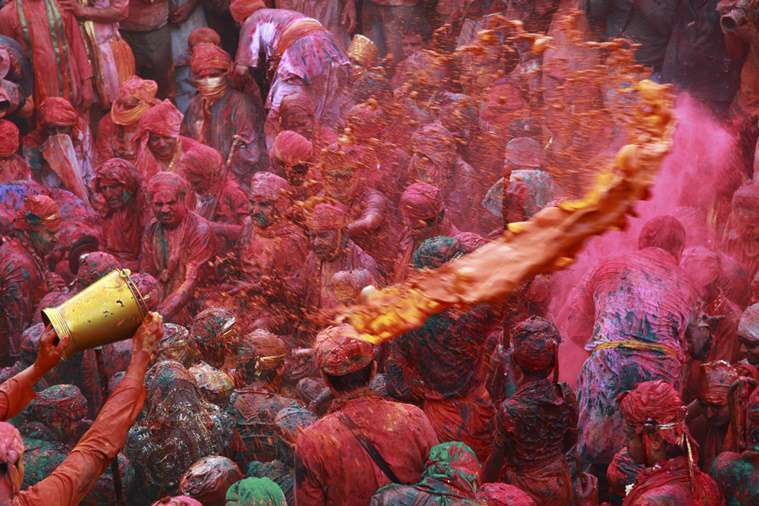 The following morning colour is sprayed on the idol and people start playing Holi. Sweetmeats like pethas and ladoos are distributed. As the day ends, the idol is given a dip in Holi pond and restored back to the temple. Holi in Purulia, known as Basanta Utsav by locals, is all about witnessing great cultural celebrations. The local tribe of the city perform Chau dance, Natua dance, Darbari Jhumur on the songs of West Bengal’s wandering Baul musicians making it a cheerful experience. In just two days of Holi, one can experience the vast repertoire of local art forms in all its authenticity. Holi 2019: The festival is celebrated in multiple ways in different cities and states across the country. In Anandpur Sahib, one can experience the Sikh culture in totality on this day. Legend has it that the annual fair, Hola Mohalla, was started in 1701 when Guru Gobind Singh protested against the rising Mughal intolerance. Anandpur Sahib is a holy Sikh pilgrimage where Nihang warriors adorning blue robes participate in the display of gatka, wrestling, sword fights, and military exercises. It is a very unique way to celebrate the festival. The City of Gods welcomes the festival of spring in its own way. Locals festoon the ghats and enjoy the festival of colours with natural elements like mud and flowers. One can also see mud wrestling as a part of the festivities. Sweets like gujiya are distributed, and the locals top it up with a glass of bhang. The by-lanes of the city come to life as one can see people drenched in the spirit of the festival, dancing and singing on the streets with colours flying all around.